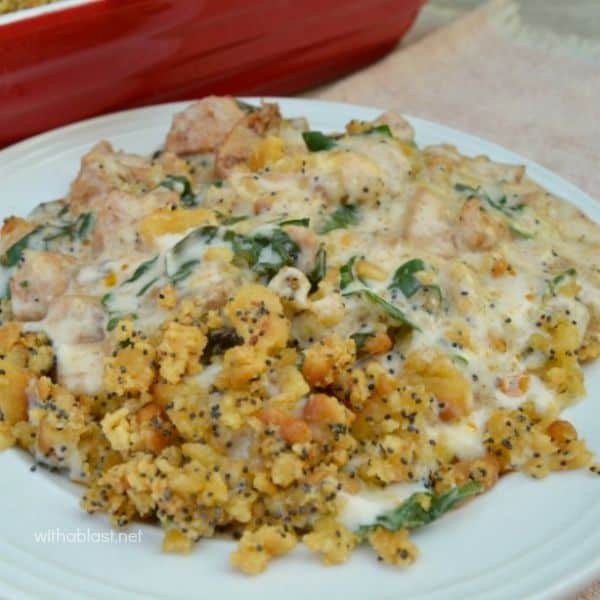 Crunchy Chicken Florentine is cheesy and smothered in a creamy Spinach/Mushroom sauce with a delicious, easy crunchy topping – perfect week night dinner. This Crunchy Chicken Florentine is such a wonderful, creamy meal and I just love the bit of crunchy layer at the top. 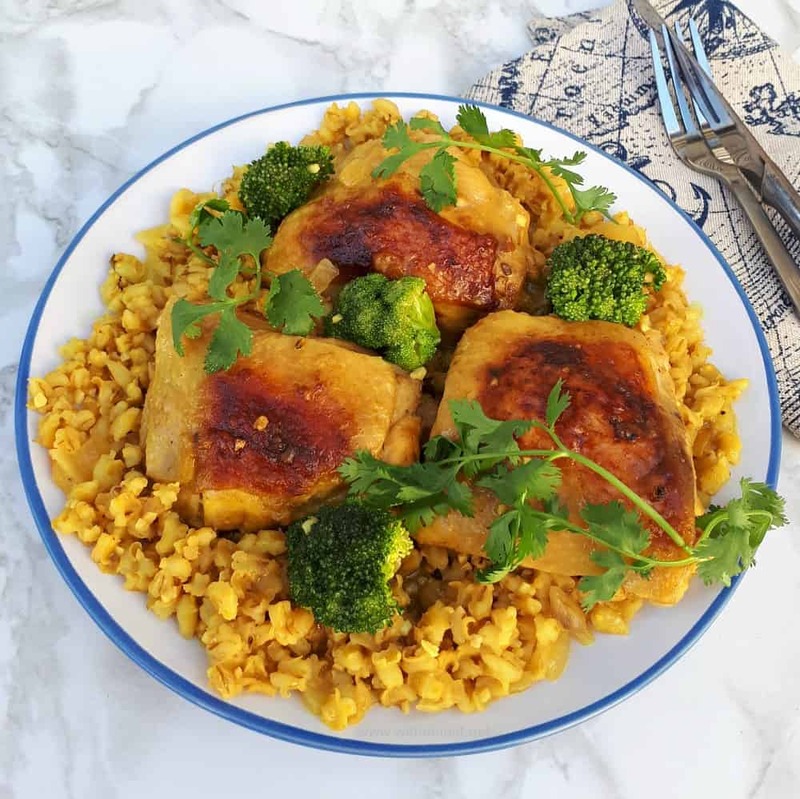 It is the perfect week night dinner and ever so quick and easy to throw together, especially if you buy already cooked (smoked) chicken or a rotisserie chicken from the supermarket. Since we eat a lot, and I mean a heck of a lot, of chicken, I usually cook extra and keep it sealed in the refrigerator to use in a day or two. I have seen many variations of this particular kind of Chicken Florentine. But have finally, after a couple of recipe adaptions, found that we like this version most. The ingredients are just right, saucy, but not overly so, enough to scoop over rice or mashed potatoes though. The crunchy topping is not dry, therefore by sprinkling I really mean, take teaspoonfuls of the crunch and drop it all over the top of the Chicken dish. No need to be perfect and the lumpier it is, the better. I have added Salt as an optional in the ingredients, but I have found that the dish is salty enough for my family’s taste. The fresher the Spinach, the better the Chicken Florentine will turn out ! Frozen spinach did not work as well the first time I made the dish. 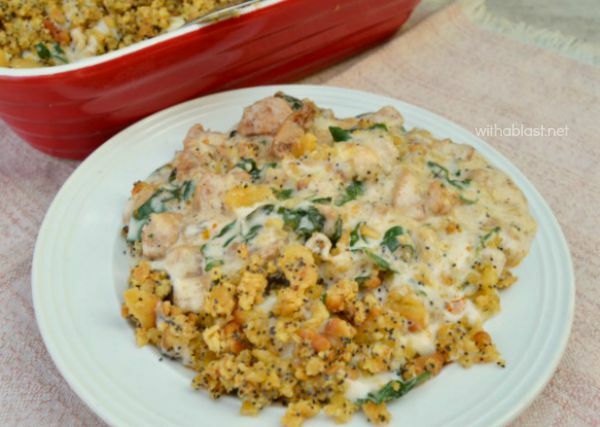 Crunchy Chicken Florentine is cheesy and smothered in a creamy Spinach/Mushroom sauce with a delicious, easy crunchy topping - perfect week night dinner. Serve with mashed potatoes or rice and a side or two. This looks so comforting and tasty! I think my family would really enjoy this. Great recipe! What a great looking chicken dish! Can't wait to try it! Wow!! 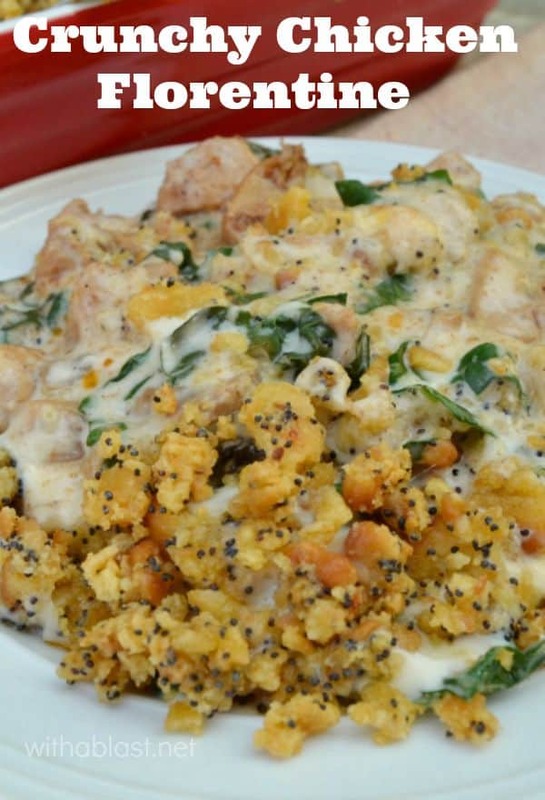 With fall just a few weeks away, I am digging this casserole! It looks so delicious! This sounds so good and I was looking for a great way to use some fresh spinach I have in the fridge!